If you need to return one of our products, it needs to be returned to the place of purchase, unless it is a warranty claim. 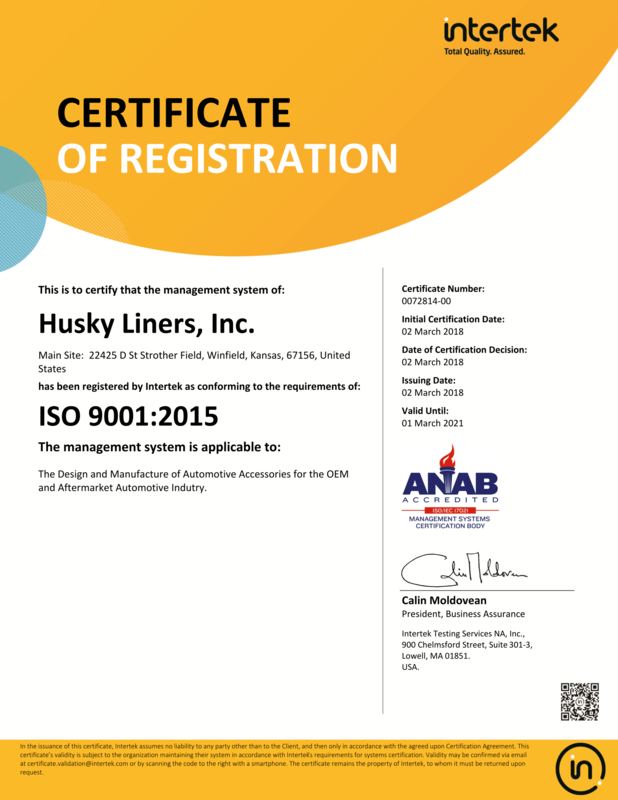 Only products purchased directly from Husky Liners, Inc. or from this web site can be returned to us. If you've decided to return an item to us, you'll need a Return Merchandise Authorization Number (RMA#). All returns require an RMA# in order for us to accept shipment of your item(s). To obtain an RMA#, please call our Customer Service Department at 800-344-8759, Monday thru Friday, 8 am to 5 pm, Central Time. You can also obtain an RMA# by contacting us via email using our [contact us] information. Any returns without a valid return authorization number will be refused. Please write the return authorization number below our return address on the outside of the box. Husky Liners, Inc. covers return shipping costs if the return is due to a manufacturing defect or as a result of our error. We will provide you with a pre-paid freight label to return the product(s) to us in this situation. Items returned for other reasons will not be provided with a pre-paid freight return label. These returns include reasons such as "changed my mind," "did not like the product" and "ordered the incorrect product". Shipping must be prepaid by the customer on all returns of this nature. All products must be returned in new, unused condition in their original box. Refund will be given on merchandise returned in the same manner as originally charged within 5 business days of receipt. We do not accept C.O.D. returns. Products should be returned within 1 year of purchase date and credit will only be issued on items in new and unused condition.